We usually think of Jesus’ beginning as reaching back to David, perhaps back even earlier in human history. That’s all true, but his roots and his story, like ours, go back immensely farther. Since Scripture tells us that he was like us in all things but sin, we share the beginning. No one knew it when Sacred Scripture was being written, but we now know that homo sapiens, though dating farther back than we’d care to count (c. 200,000 years), is but a blip in Earth’s story. 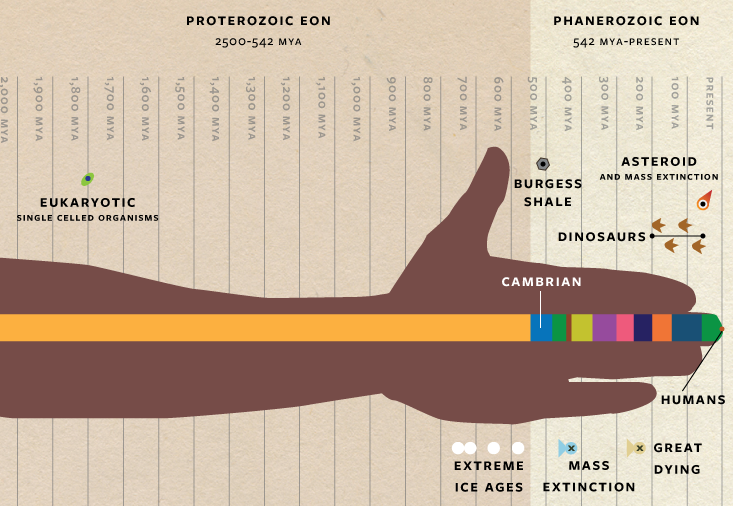 Earth formed roughly 4 1/2-billion-years, though it is impossible to date precisely. During those billions of years, Earth developed the complexity and consciousness and dexterity required for the human species to evolve. Believers rejoice that Divine Mystery was living and acting within it the entire time. In the image here, humans are represented by the tiny red dot after the green tip — and the line would have begun at the shoulder! Wonder-full! But wait! There’s more — as the ad says. How might remembering our common origin, the light within, and our interconnectedness with all that exists influence our feelings about, and responses to, some of Earth’s current and pressing “hopes and fears”? 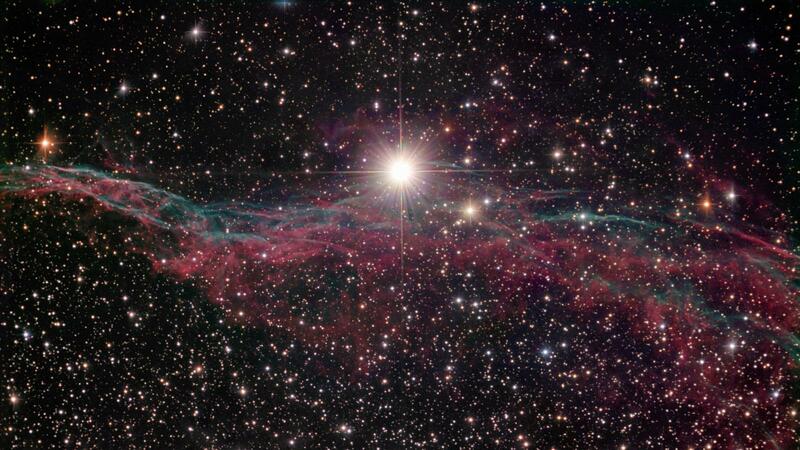 Do we appreciate that everything we know came from stardust and “shines like the sun”? Have we grown beyond judging in dualities and stereotypes (e.g., us/them; good/bad; friend/enemy) because we realize our interconnections? Thomas Berry would ask: Do we perceive a collection of objects or a communion of subjects? 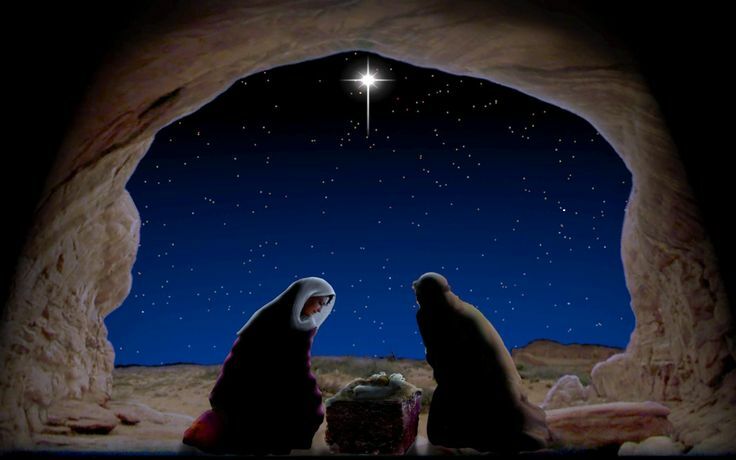 While we delight in reflecting on the newborn Babe — and on the Holy Family — during this Christmas season (and throughout the year), let’s also be awed by the fact that we, too, come from stardust. Everyone’s saga begins with the stars. * Hope you have time to watch this under-5 min. video: Life’s Beginnings Found in Stardust – YouTube https://www.youtube.com/watch?v=4rbSYwJJTTU. So thoughtfully done, Terri, and clearly the fruit of your prayer womb time…. More tomorrow when I give it the time it deserves. If I had a budget, Megan, I would certainly hire you! Many thanks! Thanks, Mary, and lots of love!